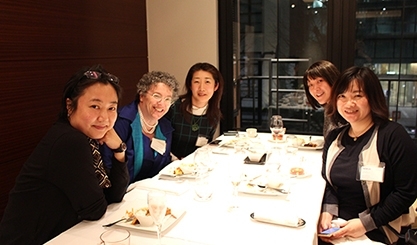 The Women in Business Series is one of the only continuing programs to address the unique needs of women business professionals in Japan and the only one in the legal industry to focus on non-gender issues. Japan lags behind other developed nations with respect to gender equity in the workplace. According to the World Economic Forum’s Gender Gap Index, Japan ranks 101 on a list of 145 countries. 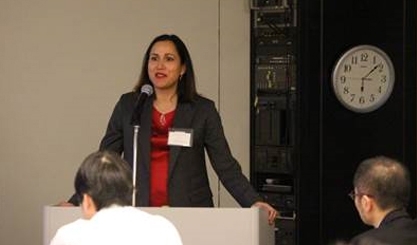 Under the leadership of Louise Stoupe, co-chair of MoFo’s Commercial Litigation & Trial Practice Group and a partner in our Intellectual Property Group, the Tokyo office has responded to this challenge by establishing a forum that supports women business leaders through knowledge sharing and relationship building. Since 2014, more than 200 women business professionals and lawyers have participated in the series.